What if a healthy lifestyle was as simple as incorporating one health-packed meal a day? 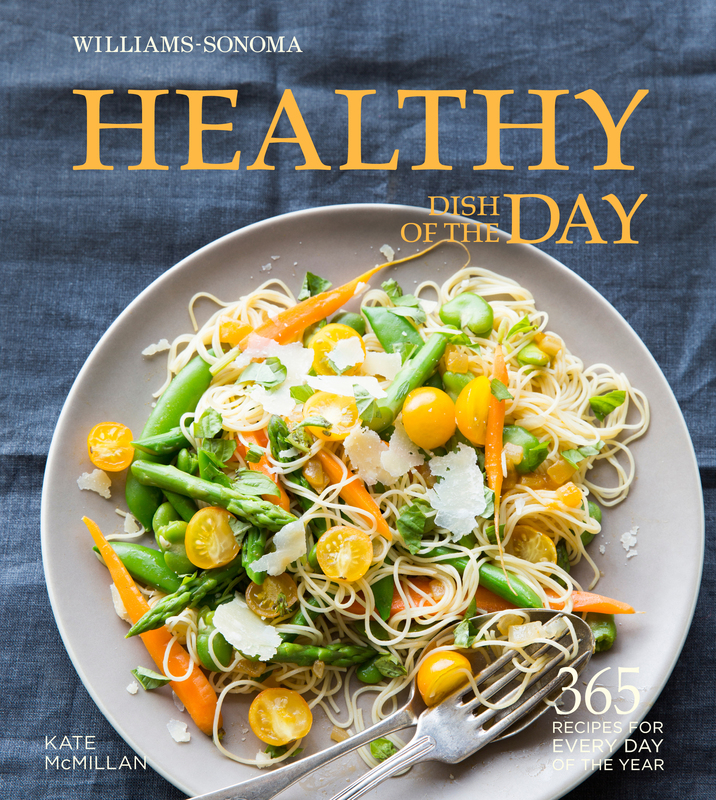 Kate McMillan makes that possible with her latest book – Healthy Dish of the Day. Healthy Dish of the Day offers daily culinary inspiration for eating one healthy meal every day to keep you on the road to a healthy lifestyle. When you eat meals packed with superfoods, healthy fats, and sensible proteins, there is no need to count calories to be sure you are eating well. Organized by month, and featuring one recipe for each day of the calendar yea—365 total—this book makes eating healthfully easy by taking the guesswork out of healthy meal planning. The recipes are diverse—from soups and salads, stir-fries and sandwiches, pastas and curries, and more. Each meal is packed with healthful ingredients like garden-fresh vegetables, fish, lean meats, whole-grains, rustic pasta dishes, protein-rich legumes and tofu. Lavish photographs and a colorful graphic design showcase delicious every recipe can be.